That Boy is SO CUTE! 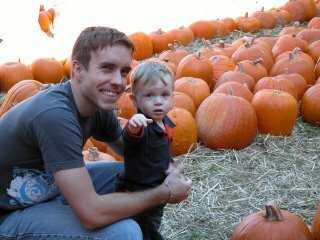 Aidan has now been to his first Pumpkin Patch where he got to pick out a very cute little pumpkin. 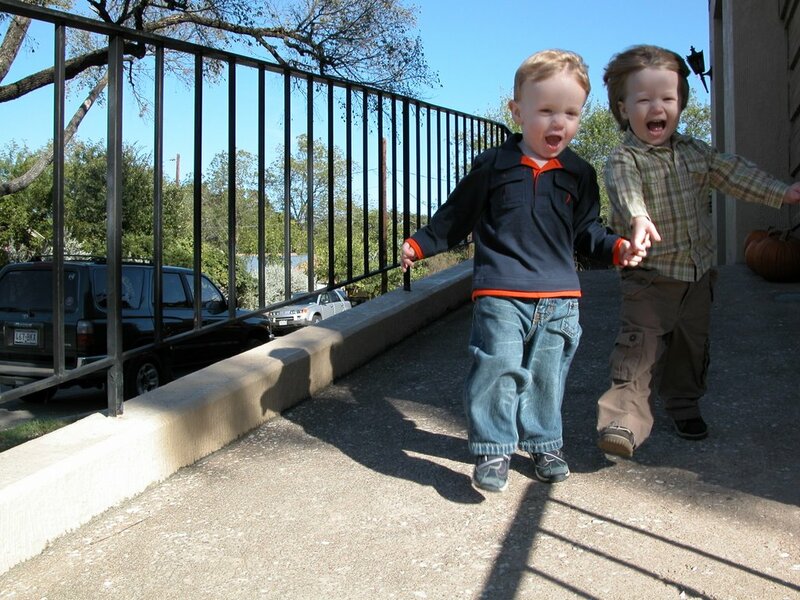 His little neighbor friend Webb also came and they had great fun running up and down a nearby ramp. The third picture is outside of the local Krispy Kreme Donuts shop. 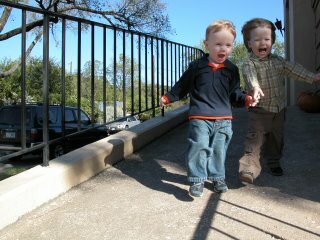 We had just been to Aidan's 2 year well-check. He is still weighing in around the 10th percentile, is almost in the 50th percentile for height as well as for the size of his noggin. You'll notice in this picture that he is very happy. It wasn't until later that day that he got his flu shot. After which, he was not as happy. He has had a hard time recovering from the emotional trauma of that shot. He didn't want to get out of his crib after his nap today until I told him that we would not be getting a shot or going to the doctor today. Then he was finally willing to let me pick him up. It seems like he always takes a few days to recover from the scare of getting shots. Poor kid. They even called me to pick him up from preschool early today since he seemed sad, not himself and wasn't eating any of his lunch. 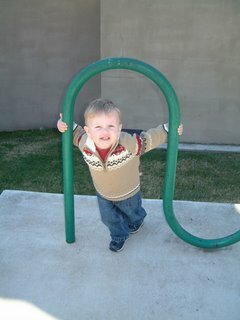 I am hoping that he is not ill, but I guess we'll just have to wait and see.